Hi there! Happy Wednesday. Wednesdays are good days. It's reveal day at Child's Play Challenges. We have a fun challenge for you. It's Classic Movie week! In case you aren't familiar with Child's Play, the idea is to create a LO inspired by the classic toys, movies, book and games that are chosen for each challenge. 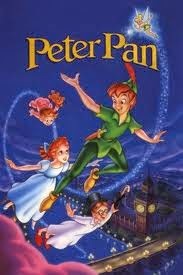 Ok, what I remember most about Peter Pan and my childhood was seeing it live on stage with Sandy Duncan as Peter Pan. I couldn't think of anything to use to tell that story, so I went a completely different route. Color. Green to be precise. One of the benefits of waiting until the last minute to do an assigned project is getting to search around other blogs for inspiration! I started with a sketch from Boys Rule Scrapbook kits. Then I saw Scrap Our Stash has a challenge to use monochromatic colors and 5 different embellishments. I had already decided to use green on the page. Well, I used ONLY green as well as, washi, paint, mist, enamel dots, bling and sequins. Join us this week at Child's Play Challenges. Dig in to your childhood memories or create something inspired by our photo! Such a fun page, love all the types of green things you used! Thank you for joining us at Boys Rule! Love all the mixture of greens and what an awesome job creating your background and completing the requirements of the challenge! Thank you for linking up with Scrap Our Stash! Awesome page! love the greens and the washi tapes! Thanks for playing along with us at Scrap Our Stash! Love the border and that you picked green! Cool background too...thanks for playing along with Scrap Our Stash! awesome page! love how you used the washi tape as a border, very creative. the background paint also caught my eye. Thanks for playing along with us at scrap our stash. ClaireR, June SOS GD. Love your border and the touches of mixed media... awesome layout! Thanks for playing along with us at Boys Rule. I love to see friends stop by! Really really love your page Devra! Such a fun page and i also love the colour you've chosen. Thank you for joining us at Scrap Our Stash. This is super cute! I love the greens and the design too! Thanks for playing along with SOS!